Don’t you love it when some clever fella invents something to take all the hard work out of an issue? Over in Germany a drink is currently being developing which is high in Omega 3, that means people who cannot consume fish (like me) will have another rich source of this essential fatty acid. 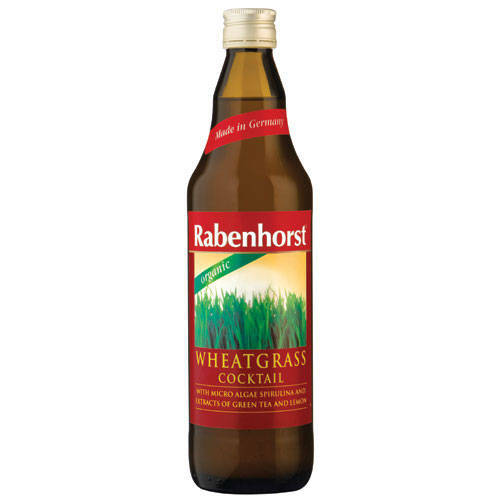 It’s tenuous to connect this breakthrough with Rabenhorst’s array of healthy drinks, but I hope they take on the idea. Already the producers of organic drinks of cherry, cranberry, beetroot and prune juice, the traditional company are now making a wheatgrass drink. That means you can get all the benefits of wheatgrass: purer blood, less toxins, less eczema and psoriasis, improved digestion and lower blood-pressure – all in a cup without having to squeeze the wheatgrass yourself – and they’ve mixed in green-tea and spirulina for a delicious healthy breakfast drink. Rabenhorst have been producing quality fruit juices for over 200 years and last year won an international award for innovation in beverages. This sounds great, I wonder if it is sold in Sydney, Australia.